Chinese Lunar New Year is an important Chinese festival celebrated at the turn of the traditional lunisolar Chinese calendar. It is also known as the Spring Festival, the literal translation of the modern Chinese name. Celebrations traditionally run from the evening preceding the first day, to the Lantern Festival on the 15th day of the first calendar month. The first day of the New Year falls on the new moon between 21 January and 20 February. In 2016, it’s Monday February 8th and it marks the Year of the Red Monkey!! Chinese New Year is celebrated in countries and territories with significant Chinese populations, including Mainland China, Hong Kong, Macau, Taiwan, South Korea, Singapore, Thailand, Cambodia, Indonesia, Malaysia, Mauritius, and the Philippines. Chinese New Year is considered a major holiday for the Chinese and has had influence on the lunar new year celebrations of its geographic neighbours. See, it’s a statutory holiday in British Columbia, Canada as in Family Day, which was originally created to give people time to spend with their families but it also provides a day off between New Years Day and Good Friday as they are approximately three months apart. 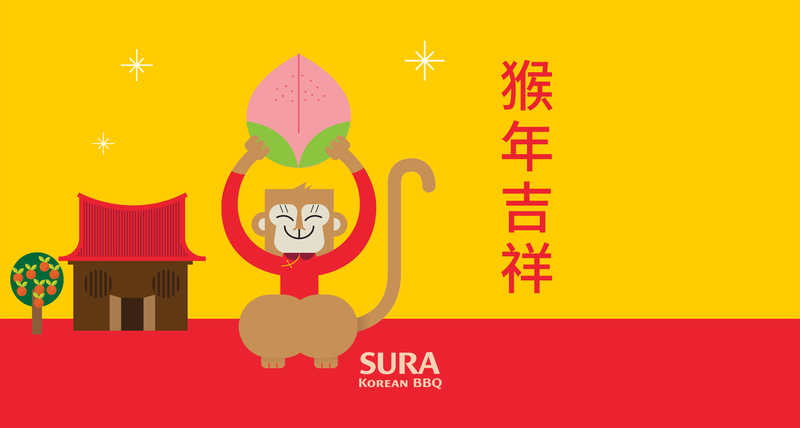 Enjoy your Chinese new year’s day with your loved ones!